The bench press is an easy-to-perform exercise. The American College of Sports Medicine has standardized norms for what a typical high school student should be able to perform; furthermore, this information is segmented between genders so that you can compare males to males and females to females. A good bench press weight depends on your goals. This can include being better than half of all high school-age students or even better than 75 percent or 90 percent of your classmates. These norms are based off of your strength ratio, which requires you to find out your maximal bench press weight. The ACSM model for assessing upper body strength with the bench press requires you to determine your strength ratio. Strength ratio is calculated by dividing your one rep max, or 1RM, by your weight. 1RM is determined by one to five progressively heavier trials with five minute rest periods between trials, until you arrive at a weight load you can lift only once with good form. For instance, if you are a 150-pound male with a 1RM of 225 lbs., then 225/150 = 1.5 strength ratio. Strength ratios allow for individual differences in bodyweight to make an equitable comparison between athletes of different sizes. For instance, it wouldn’t be fair to compare the amount of weight a 150-pound teenager can bench press to what a 250-pound teen could press. Bigger people should be able to lift larger weights, and the strength ratio helps to account for those differences. If you are a male under the age of 20 and want to be in the 50th percentile or higher, you need a strength ratio of 1.13 or higher. To be classified into the top 25 percent of males under 20, you are expended to have a strength ratio of 1.29 or higher. To be in the top 10 percent, you need to have a strength ratio of 1.46, which is roughly 220 lbs. for a 150-pound male. If you are a high school-age female, a strength ratio of 0.63 would classify you as being better than 50 percent of your peers. To be in the top 25 percent you need a strength ratio of 0.76. If you are looking to be in the top 10 percent, you need to attain a strength ratio of 0.83. Women have generally lower upper body strength compared to men in both absolute and relative terms, and these values reflect that. A high school female trying to be in the top 10 percent would need a maximum lift of 83. lbs if she weighed 100 pounds. 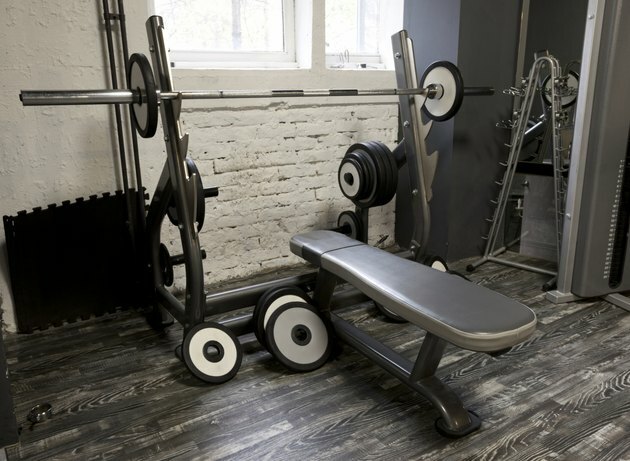 Although the bench press gives you a clear view of your upper body strength, it can be a dangerous exercise if you have little to no previous weight lifting experience. This is especially true for high school-age students who typically have limited exposure to resistance training and who have not yet developed full coordination and control of their body after puberty. Remember to always have a spotter assist you when bench pressing to ensure your safety when performing the bench press. Also note that these norms are only a guideline for what is classified as “a good amount of weight” to bench press. Realistically, your own personal progress is a better measure of a good amount of weight to bench because individual differences such as limb length and how long you have been training are not built into the norms.